When we backpacked Turkey last fall, the Mo and I practically lived off doner kebabs (gyros) and grilled meats. One of my favorite dishes that I often ordered were Köfte or Köfta, Turkish meatballs. 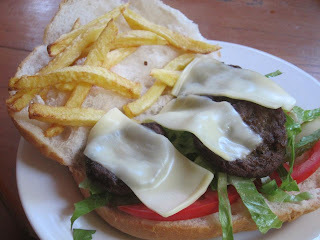 I had them with grilled rice, in pita breads, on buns similar to burgers. Unlike American meatballs made with ground beef or veal (or in my case, I like to use 1/3 veal, 1/3 beef and 1/3 pork), Turkish meatballs are traditional made with minced lamb meat. This is also the case with the Greek, Lebanese and many other middle eastern countries. I looked up a few different recipes online and was influenced by a handful of them so this recipe is not "original" but a combination of a few recipes. I wanted to use the skewers that we bought in Kas, Turkey but since we have about 2 feet of snow around the Weber, I opted to bake them. You can also pan fry the meatballs also. Tonight's meal featured Turkish lamb Köfte meatballs, seafood casserole, short grain white rice, Joseph's pita bread and yogurt. All we are missing now is some apple tea and baklava. Mince the garlic and onions into tiny pieces. I used a small food processor to save time. Add all the ingredients in a large mixing bowl and use your hands to fold the meat mixture thoroughly. Pick up a golf ball size amount of meat and add a dab of water to your opposite hand. Roll the meat into a ball and gradually shape it into a oblong shape. I haven't perfected this yet. The shape you chose is optional. You can do the traditional round meatballs, or flattened meatballs or the oblong meatballs. Bake the meatballs at 375 for 20 minutes. Serve with rice or in a pita bread. I couldn't just serve one Turkish dish tonight so I wanted to make something that complimented the meatballs. I picked up a really cool copper casserole dish at a consignment shop in Nashua so I wanted to make a casserole. Unfortunately, I Googled if I could use the copper dish for cooking or serving food and it wasn't recommend, therefore I can only use the dish "for show" only. 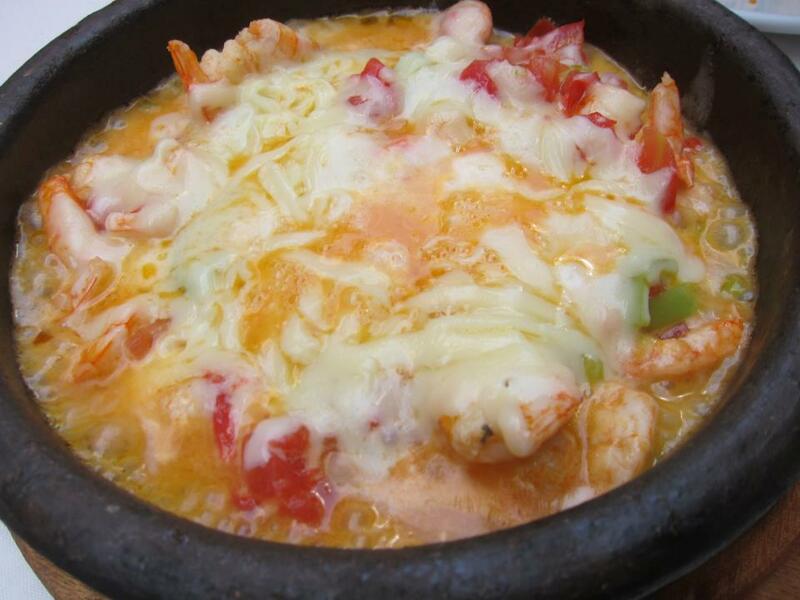 In Turkey, we also had a few different shrimp and seafood casseroles. I remember it being rich and cheesy and flavorful. In a large skillet, heat up the olive oil until a light smoke appears. Add the onions, garlic and optional jalapeno. Saute the mixture until the onion browns. Add the bell peppers, tomatoes, parsley and optional mushrooms and saute for 5 minutes. Add the cup of water and bring to a boil. Let the mixture continue to boil for 5 minutes and add the salt, pepper and adobo seasoning. And let the wedding planning begin!